The St. Peter-Marian Junior-Senior High School Math Team tied for first in the nation in the Catholic Math League. The 44th commencement exercises of UMass Medical School on June 4 will recognize the accomplishments of groundbreaking physician, scientist and academic health leader Valerie Montgomery Rice, MD; humanitarian and businessman Víctor Grífols, president of Grifols; and Patricia Donahoe, MD, a renowned pediatric surgeon and cancer researcher. Montgomery Rice will be the featured speaker and will receive, along with Grífols and Donahoe, an honorary degree. Montgomery Rice is the first woman to serve as president and dean of Morehouse School of Medicine. She leads the school toward its strategic goal of “leading the creation and advancement of health equity.” She is a renowned infertility specialist and researcher who earned her medical degree from Harvard Medical School. Two-hundred-thirty students from the UMass School of Medicine, the Graduate School of Biomedical Sciences and the Graduate School of Nursing will receive their diplomas. The ceremony will take place on the campus green at noon, Sunday, June 4. Anna Maria College has named alumni Gerard Dio, former chief of the Worcester Fire Department, and entrepreneur Dennis J. Thompson as the newest members of its Board of Trustees. Dio, a member of the WFD for 35 years, retired in 2015. He rose through the ranks of lieutenant, captain, district chief and deputy chief, and was named chief in 2000. That same year he was honored with a community leadership award for his efforts during the December 1999 Worcester Cold Storage and Warehouse Co. fire. During his 15 years as chief, Dio served on local and national oversight groups and organizations charged to improve the safety and health of firefighters. Thompson, president and owner of Thompson Benefit Group, has 35 years of experience with the employer group market, designing, marketing and implementing managed-care health plans and insurance services. He also served as president of the Board of Trustees for The Bridge of Central Mass. in its formative years. According to USA Today College, the College of the Holy Cross ranks No. 5 on its “The 10 best colleges in Massachusetts” list. The national news outlet partnered with College Factual on the rankings, which looked at 64 schools in Massachusetts. College Factual ranks Holy Cross No. 35 overall out of the 1,387 Best Colleges nationwide. Harvard, Amherst College, MIT and Olin College of Engineering took the top four spots on the list of best Mass. colleges. The financial website SmartAsset has ranked the Central Massachusetts communities of Oxford, Athol and Whitinsville in its top 10 most affordable communities in the state. The authors found the total cost over five years of four expenses — closing costs, taxes, insurance and mortgage payments — for the average home in every county in the United States, and every community with a population greater than 5,000. It then took that five-year cost as a proportion of median household income in each county and community to determine affordability. The most affordable communities are those in which total housing costs accounted for the smallest proportion of median income. Oxford ranked fourth in the state with an affordability ranking of 25.41. Bellingham was No. 1 (28.24). Athol was sixth (25.03), and Whitinsville — a village within Northbridge — ranked ninth (22.9). The Briarwood Community is pleased to announce the third public art exhibit in a series of six for 2017. Sharon Smith Viles will showcase her ink paintings; flower and bird paintings; landscapes; and prints. The exhibit, “An Affair with Asian Art: A Retrospective,” will be on display from May 7-July 6. 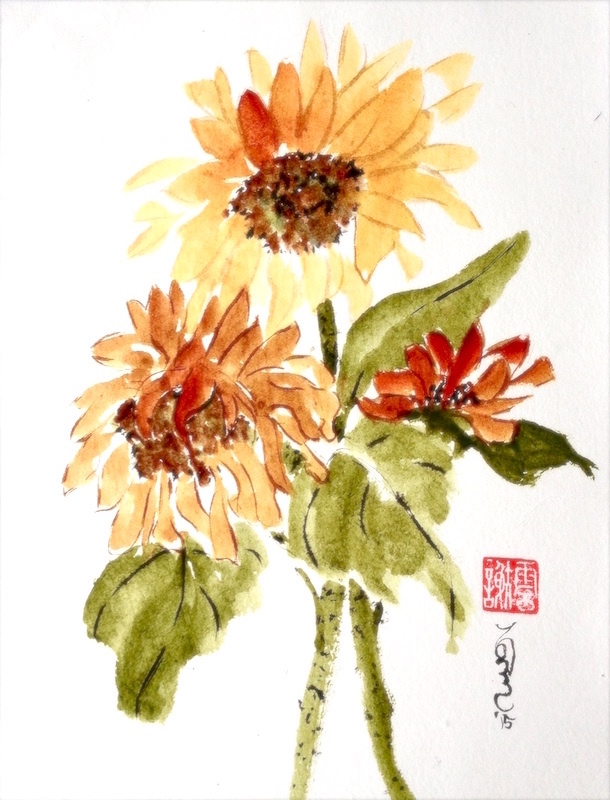 The exhibit, which reflects Smith Viles’ 25 years of Chinese brush painting and woodblock printing, will take place in The Gallery at Briarwood, 65 Briarwood Circle, Worcester. The opening reception, which is free and open to the public, will take place from 2-4 p.m. Sunday, May 7. Guests will have an opportunity to meet Smith Viles. Smith Viles maintains a studio in Worcester. She is coordinator of the Silk Road Art Guild, a group that promotes Asian Art forms and exhibits in the Worcester area. Her work is in private collections throughout the country. 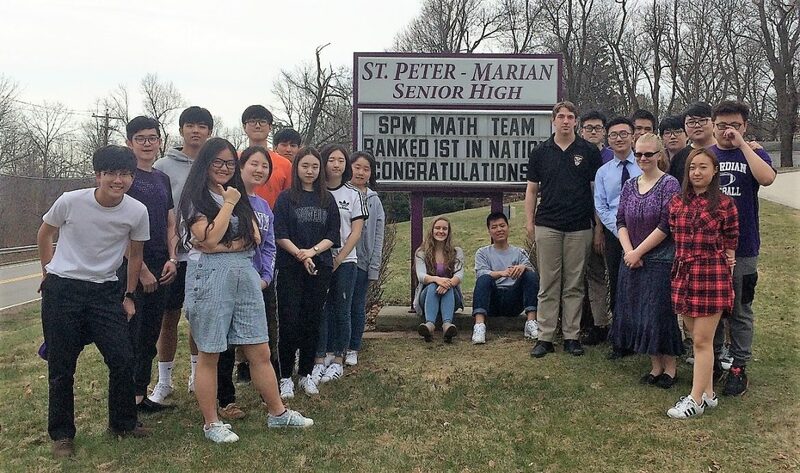 The St. Peter-Marian Junior-Senior High School Math Team has completed the 2016-17 season in the Catholic Math League, tying for first place in the country. The CML is a national league that gives hundreds of Catholic schools an opportunity to test their knowledge in mathematics. St. Peter-Marian teacher Carole Amidon led this year’s team of 34 students in Grades 8-12. SPM was the only New England-based school to finish in the top 20 in the Advanced Math category. Over the past two years, the team has had top-10 finishes and ranked as high as No. 7.